$19.99 each List: $42.50, You Save: $22.51! 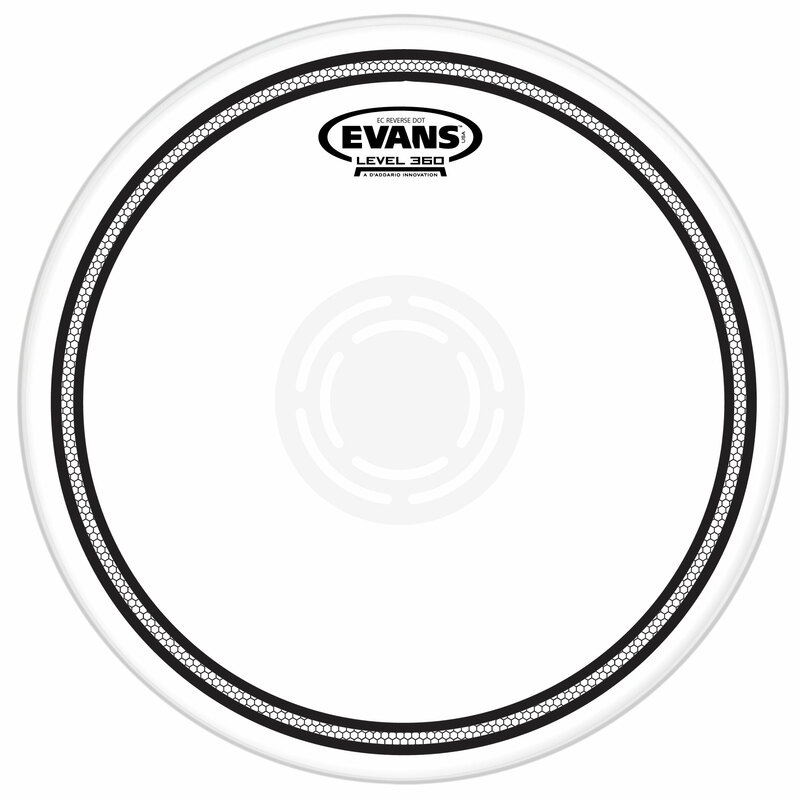 Evans EC1 Reverse Dot Snare Drum Heads are made from a single ply of 14-mil frosted film. The single ply grants you sensitivity for ghost notes and smooth rolls, and the thickness allows you to really smack the drum without worrying too much about the head. A central dot on the underside of the head adds durability and focuses the fundamental pitch, while creating a distinctive sonic difference between playing in the middle vs. the edge. Sound Shaping Technology rings on the outer edge reduce those high, unwanted overtones and help make your attacks more articulate.